Giving students a better grasp of what to expect in the future is not only helpful, but also the focus of Junior Achievement of Southern Nevada’s Finance Park. This is one reason Bank of Nevada offers financial support to Junior Achievement of Southern Nevada, as well as the support of its volunteers. Chet Buchanan and Alyssa Smith at the annual Candlelighters Childhood Cancer Foundation of Nevada's Evening of Hope Gala held March 9. 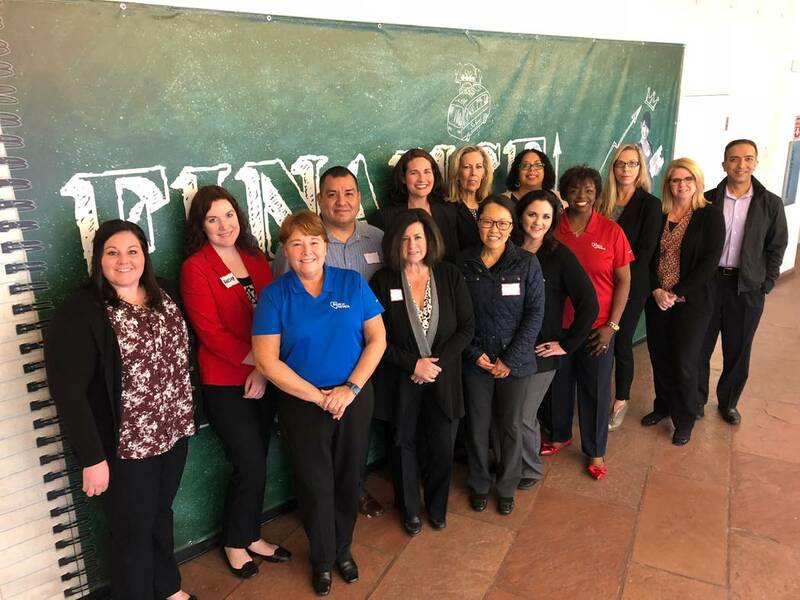 Recently, Bank of Nevada volunteers staffed a daylong event at the Finance Park to help 8th grade students from Silverstri Junior High School. Each volunteer was paired with six to eight students to help foster discussion and provide guidance on the money decisions the students would be making. When students arrived, each was given a persona they would adopt for the day’s event. The persona included a particular occupation and its salary. From there, students had to learn to live within that occupation’s budget, and also anticipate the cost of everyday essentials including utilities, mortgage and car payments and insurance. Each student is provided an electronic tablet to assist them in making the step-by-step financial decisions that each student will ultimately make when they are adults and in the workforce. This is the fifth consecutive year that the Finance Park has provided financial literacy lessons to students in Clark County. Between Jan. 17 and March 23, approximately 4,500 students will be exposed to financial literacy information that includes lessons on income and taxes; saving, investing and risk management; debit and credit; and budgeting. Candlelighters Childhood Cancer Foundation of Nevada held its annual Evening of Hope Gala and Ray of Hope honoree luncheon March 9-10 to increase awareness for pediatric cancer and raise funds to support local families battling the disease through financial assistance, emotional support and quality-of-life services. 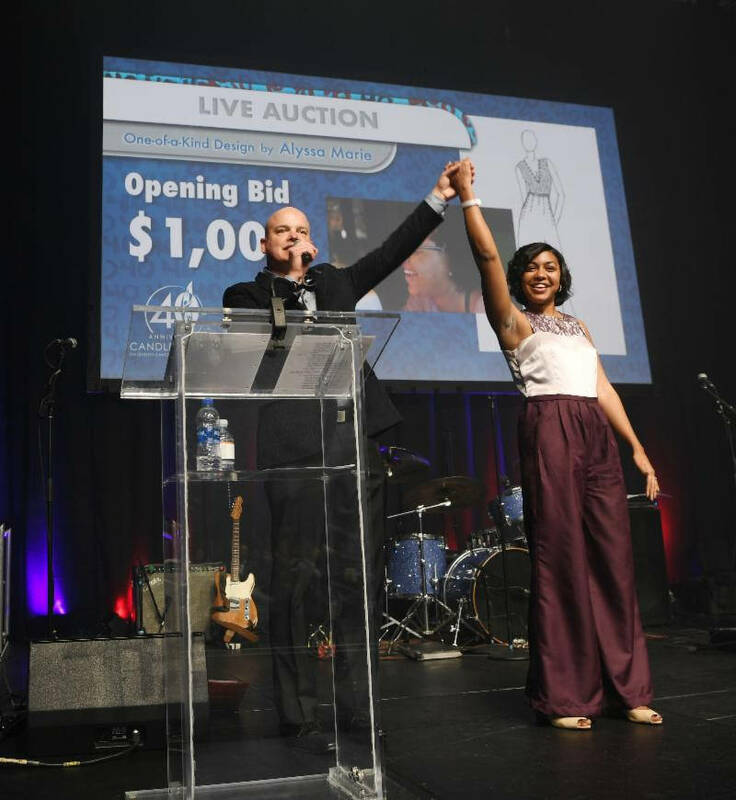 “Over the course of the past 40 years, we have had many heartwarming stories of hope and we have had heartbreaking stories of grief,” said Melissa Cipriano, Candlelighters Childhood Cancer Foundation of Nevada executive director. “Candlelighters works hard to create a refuge for our children and their families, providing a support network that understands the challenges of what they face. We work hard to meet whatever needs our families may encounter, be it financial or emotional. The Ray of Hope Honoree Luncheon provided the opportunity to recognize Candlelighters’ children as well as those who have offered their time, talent and treasure to support the organization. Childhood cancer survivors and Ray of Hope honorees for 2018 include: Rosa LaRochelle, Luke Silvestri, Alyssa Smith and Michael Tatalovich. Joan and John McClenehan, also known as “Dr. and Mrs. Magic” received the Volunteer of the Year award; Sue Collins Waltermeyer, M.A., C.C.L.S., was recognized as the 2018 Candlelighters Medical Hero; and Kathy and Greg Maddux were named Philanthropists of the Year for their unwavering support of the organization. Allegiant Air will donate a total of $5,000 to Nate Mack Elementary School and Barbara and Hank Greenspun Junior High School during a special ceremony that will include a robot demonstration by students. The funds will help finance a trip by the two schools’ robotics teams to the VEX IQ Robotics World Championship, scheduled for April 28 through May 2 in Louisville, Kentucky. Approximately 11,000 students from 1,500 school robotics teams from all over the world will participate in the event, which is the world’s largest robotics championship. Encouraging Las Vegans to get active and learn about individuals with developmental and intellectual disabilities, Easterseals Nevada is holding its inaugural “Keeping PACE with Easterseals Nevada” dedicated walk and spring carnival March 31 from 10 a.m. to 2 p.m. at Wayne Bunker Family Park. Designed to educate and raise awareness for the much-needed services Easterseals provides, “PACE” stands for Providing Adults and Children with Disabilities Exceptional Services. The family-friendly walk will begin at 10 a.m. and will be followed by the PACE carnival. Guests can experience a celebratory afternoon with live music, food vendors, carnival games, pony rides and a petting zoo. There will be a children’s egg hunt beginning at 11:30 a.m. Guests can partake in the business team challenge where businesses have a participant team goal of 25 members. Each team member must register at ESNPACE.com, using the promo code ESNTM at checkout for a discounted price of $25 per adult registration and $10 per child registration for ages 12 and younger. Registration for children 3 and under is free. Business team registration closes at noon March 30. For family teams, five or more attendees can register using the promo code ESNFAM for a discount. All registered teams and individuals will receive a Keeping PACE with Easterseals Nevada T-shirt at check-in. To attend the carnival only, tickets will be available at Wayne Bunker Family Park March 31 beginning at 10 a.m. Carnival-only adult tickets will cost $10, child tickets, ages 3 to 12, will cost $5 and do not include a Keeping PACE with Easterseals Nevada T-shirt. All registration fees and money raised will directly benefit Easterseals Nevada. For more information and to register for the event, visit ESNPACE.com. To sign up for a sponsorship or business team, contact Lisa Barnett at lisa.barnett@eastersealsnv.org or 702-870-7050.